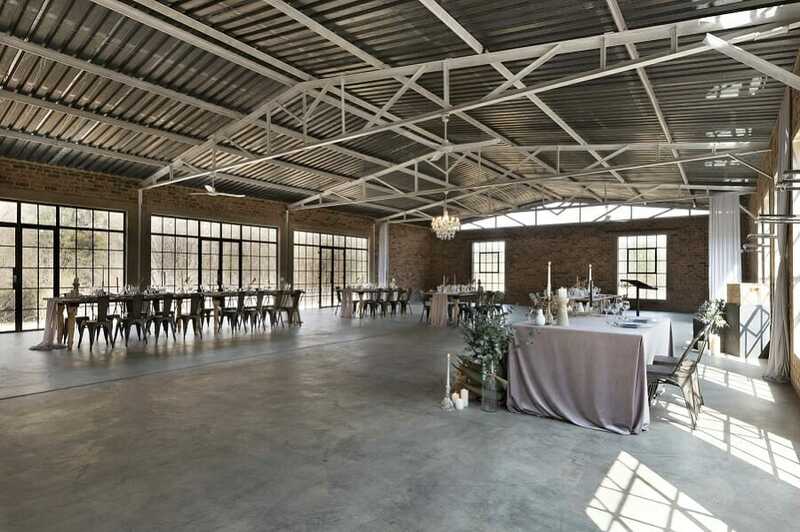 See our French Industrial style venue! 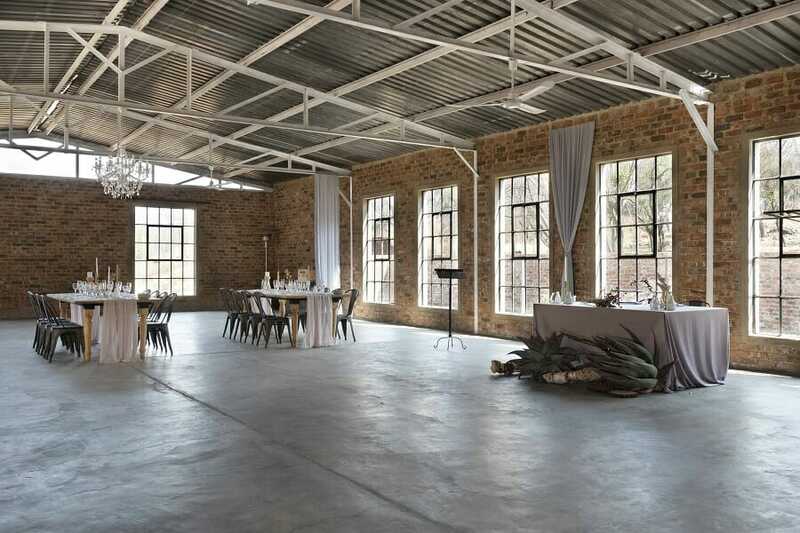 Ever Be is a new wedding and special events venue between Pretoria & Johannesburg. This has been a dream envisioned by Nanette, Claudette and their family for many years and was finally established in 2017. Our industrial French design was inspired by a minimalist view and love for traditional French venues. 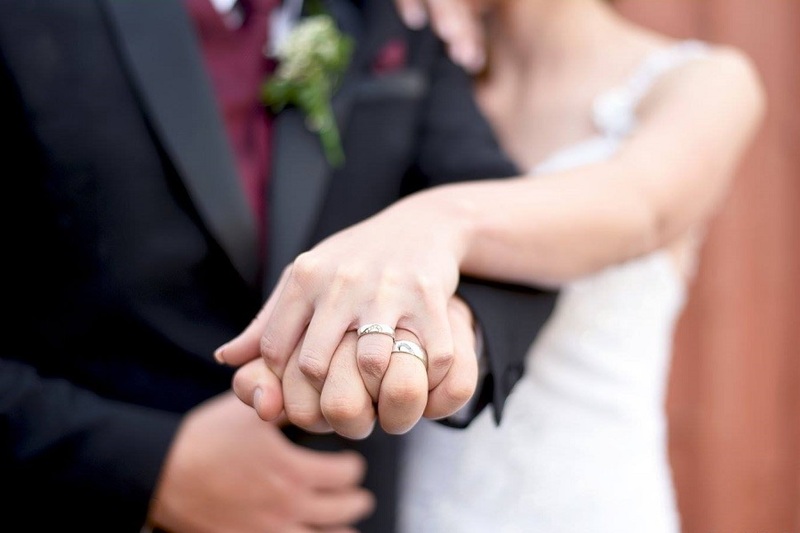 Ever Be is situated in an idyllic setting to capture picturesque memories of your big day. 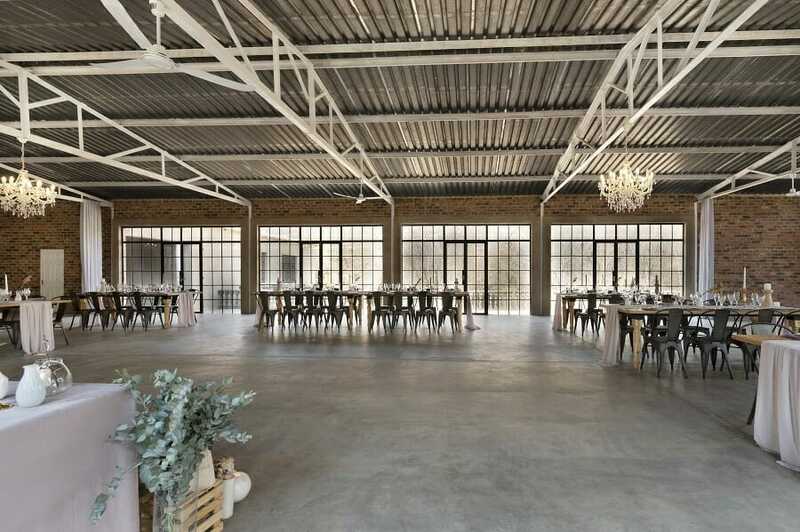 Our venue is surrounded by ruins, bushveld, country and modern elements that offers limitless photo opportunities for your photographer to capture many sweet moments of your love. 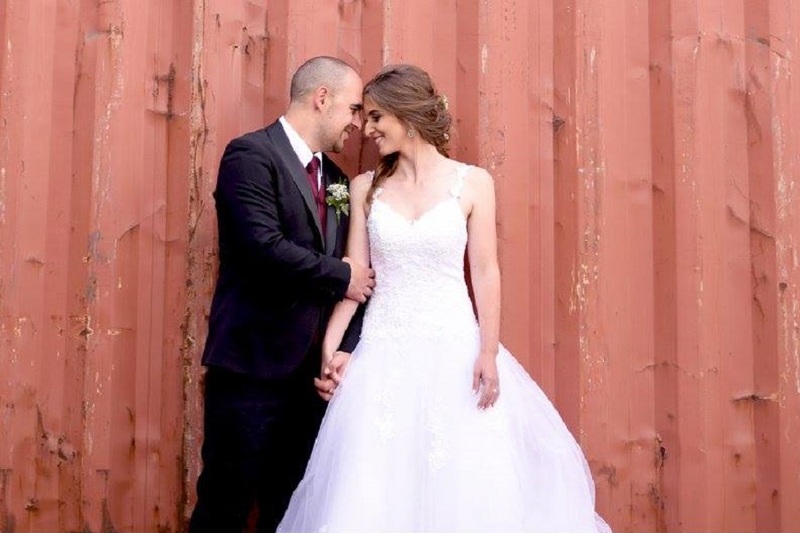 The farmhouse is a mere 400m from the chapel and venue which makes it ideal accommodation in a country setting for 15 of your closest family and friends for the night of the wedding. 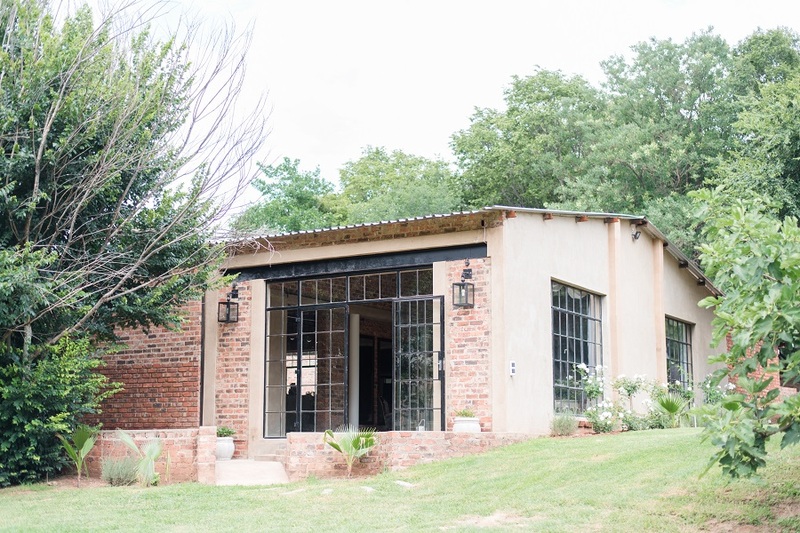 The naturally lit old school cottage offers the bride and her bridesmaids tranquility where they can enjoy a glass of sparkling wine whilst preparing for the festivities. 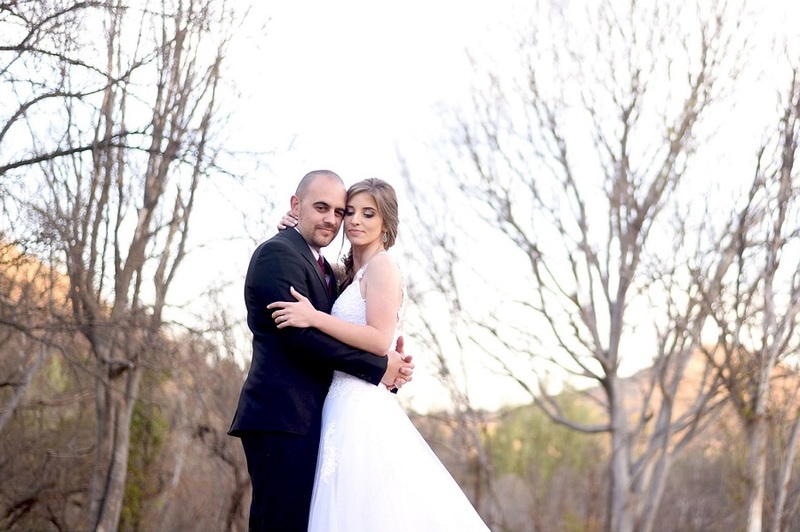 Ceremonies and smaller wedding receptions can be held in our chapel that is situated right next to a flowing river which offers a sense of peacefulness and purity. Also inspired by natural light and romance the large windows offers a beautiful setting to decorate as you please. Completed with chandeliers and the warm reflection of candle light in the evening our hall offers the ultimate romantic atmosphere. 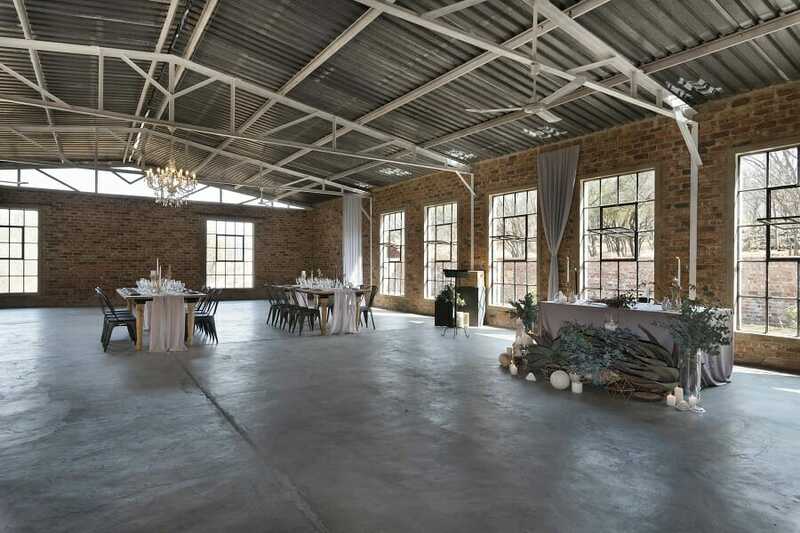 Our reception hall is ideal for weddings of 80 to 200 guests. All rights reserved. Copyright EverBe 2018.